I knew when the hair stopped growing on my head, but started growing in my nose and ears instead, that aging was a reality. Even my taste buds changed. As a kid, I absolutely hated lima beans. As an adult they have now become one of my favorite foods. The reality is that we will all age. The perception of aging, however, is something quite different than the reality of aging. Ultimately our perception determines what the experience of aging will be like for us. I have since learned that my perception does not necessarily equate to reality. The empowering fact is that by changing my perception, I completely change my reality. Now, this isn’t to say that certain things aren’t true about aging. For example, science shows that smoking, too much sun (UV radiation), living a sedentary life, and stress and anxiety can lead to negative and premature “signs” of aging. Yet, there are also certain things that have been shown to age us in a positive way like drinking plenty of water, meditating, exercising, and eating a well-balanced diet. Positive thinking also contributes to healthy aging. The evidence is pretty overwhelming proving that happier people living longer, healthier lives. That’s the actual reality about aging. This reality teaches me that I am in total control of how I age! I get to choose how I will age. How awesome is that? Since embracing this reality and great truth, my perception about life in general has changed with aging. I now have an appreciation for simple things like silence. I can stand in awe of a beautiful tree in the park, when as a kid I wouldn’t have even noticed it. With age has come wisdom to make better decisions that have led to positive outcomes in my physical, mental, and spiritual life. This is wisdom that only comes from life experience. This is the wisdom of knowing the value of appreciation. This is the wisdom of realizing the importance of being in touch with my inner self. This is my reality. This is how I am aging. Quite honestly, I am in love with growing older. It has taken me a while to get to this place and sometimes it still takes a little effort on my part to stay there. For a long time, I let fear stand in the way of the enjoyment of aging because of the perception I was carrying around about it. Then it suddenly dawned on me that if I weren’t aging, I’d be dead! Now that was an Einstein moment. The bottom line is we are all going to age. I didn’t realize I had a choice about how I was going to age. What I would have given to have this information many years ago. Now there are so many things I appreciate. Things that were always there but not in my awareness. Being in the now and living in the full awareness of my surroundings and myself have made aging an enjoyable experience. 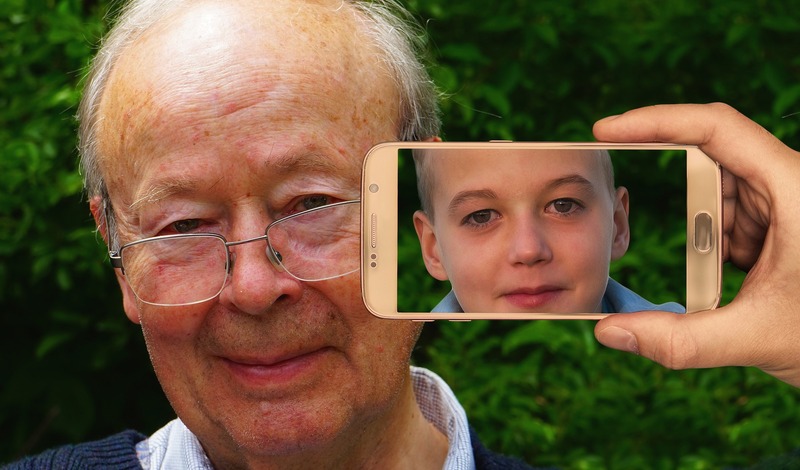 What does aging look like to you? What are your thoughts about aging? Do you have fears related to aging or do you feel an excitement and appreciation for the aging process? We do not have a choice about the inevitability of aging but we do have the choice to change our perception of aging and consequently improve the entire experience. Make good decisions that enhance the process of aging. Embrace growing older with all its beautiful secrets and hidden benefits. The alternative isn’t much fun. Vince Shifflett is a critical care nurse, thought contributor, and musician. He shares his knowledge and personal experience on issues impacting our physical, mental, and spiritual health. Thank you so much. I am thrilled that the article resonated with you. I look forward to more of your feedback and am so grateful to have your support. Many blessings to you. Thanks. Glad you are enjoying the writing. I appreciate you. Great topic! I think older people are the Best…well, not the old grumpy ones. The Elders that you look up to. The ones that have stood the test of time. The ones that have seen some things, did some things, and still have more to do. When they share how it was compared to how it is now is good to hear. How it’s changed, yet is still the same. I want to live a long life. My biggest goal is to live a long life. I wanna be an old man. I have a story to tell and hope to share it with the 🌎. So proud that you take and make the time to do just that…weekly. You’re a Hero of mine. Keep up the good work Vince. Reese, Thanks for your commentary and thoughts. Always appreciated. The aspiration to live a long life is a good one however I do try to just live in the moment and not think too far into the future. It helps me enjoy the moment more fully. Much love to you. Aging is apart of the circle of life. Unfortunately, not everyone experiences it. Wow, what a great point you make. Not everyone is fortunate enough to experience aging. Great way to view aging. Thanks for your response. Love your point also about all the people we knew and loved who did not have the beautiful opportunity to grow old. This viewpoint changes everything. Thank you so much. Great blog with a wonderful perspective on aging!!! Thank you so much. Really appreciate your response.